Tom Ford‘s Nocturnal Animals is a peculiar beast that will polarize viewers. One camp will be swept away by the alluring sequences and appealing visuals beautifully presented in the film, but there’s also an audience that will reject the non-linear narrative and ambiguity of the story’s conclusion. 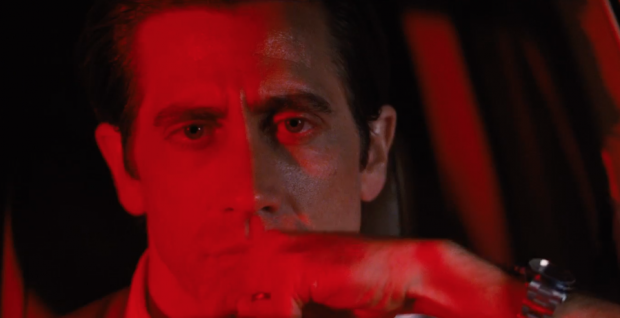 At its heart, Nocturnal Animals — which is adapted from Austin Wright’s 1993 novel Tony and Susan — is a cocktail combining love and loss, dread and desire, and resentment and rage. The noir thriller begins by introducing Susan Morrow (Amy Adams), a distant and disengaged L.A. art gallery owner. Her fashion sense and lifestyle are sophisticated, but beneath her apparently ideal surface lurks a lonely and deeply unhappy soul. She’s married to an unfaithful, disinterested man (Armie Hammer) and she seems frozen — joyless, empty and without purpose. But she’s shaken out of her stupor when a manuscript from her ex-husband Edward Sheffield (Jake Gyllenhaal) finds its way into her harshly contemporary home. As she reads Nocturnal Animals, she begins to reassess past choices. The story she absorbs is dark, devastating and savage, and reflects the profound pain she inflicted on Edward years prior. As the audience follows Susan’s experience of reading the manuscript, access is simultaneously granted to the contents of the book. The unnerving tale revolves around Tony Hastings (again Jake Gyllenhaal) and his quest to have justice served after he, his wife Laura (Isla Fisher) and daughter India (Ellie Bamber) are terrorized by a trio of Texas hooligans led by callous Ray Marcus (Aaron Taylor-Johnson). To get justice, Tony relies on ailing cop Bobby Andes (Michael Shannon). It becomes clear as Susan digests Nocturnal Animals that the manuscript is Edward’s way of processing his agony. He is expressing his torment, which is a result of Susan’s past decisions, and to some degree, he wants Susan to share a sliver of his anguish. Fashion designer/writer-director Tom Ford’s Nocturnal Animals isn’t an easy film to watch. It’s upsetting, disturbing, and the frequent change in perspective may be read as confusing. But the performances that breathe life into it and the seductively stylish cinematography make it striking. Amy Adams succeeds in the role of Susan, conveying immense sadness and loneliness with her ocean blue eyes. She makes it blatantly clear from the beginning that Susan is a woman wrestling with the c onsequences of her own behavior and her unfulfilled desires. Opposite her is Jake Gyllenhaal, who delivers two unique performances. He rarely gets awards recognition for his work, but showcases a range in Nocturnal Animals that sways from fragility to ferocity. As dynamic and magnetic as Amy and Jake are, it’s the work by Aaron Taylor-Johnson and Michael Shannon that leaves a lasting mark. As the unhinged and gutless Texan villain, Aaron is disconcerting. He is repulsive and ruthless, yet riveting whenever he’s in frame. He also captures the Texas twang with apparent ease, an especially impressive feat considering his British roots. His Golden Globe came as a surprise, but it wasn’t unjustified. Another awards season surprise arrived when the Oscar nominations were announced and Aaron was left off the ballot. The actor from the film who landed a nod in the Best Supporting Actor category was Michael, which again, was not an unjustified decision. Michael’s turn as the cancer-plagued cop determined to help Tony get revenge is raw and refined. He doesn’t have an explosive moment or heartbreaking meltdown, which some of the other characters are given, but his performance’s strength lies in its subtlety. The other supporting actors — including Armie Hammer, Laura Linney as Susan’s highbrow mother Anne, and an expertly cast Isla Fisher as Amy’s embodiment in the manuscript — complement the leads and help give the story its spellbinding effect. Tom’s debut film, the Oscar-nominated A Single Man (2009), established him as a director with a keen eye for detail. The shots are elegantly crafted and the picture has a sharp, tasteful touch to it. Although Nocturnal Animals isn’t equally exquisite in the visual department, it’s clearly his offspring. He worked with production designer Shane Valentino (Beginners) and director of photography Seamus McGarvey (The Hours, Atonement) to construct the scenes and achieve the stunning quality of images. Another element of the film that enhances the appeal is the dramatic, often melancholic score by Abel Korzeniowski (A Single Man). 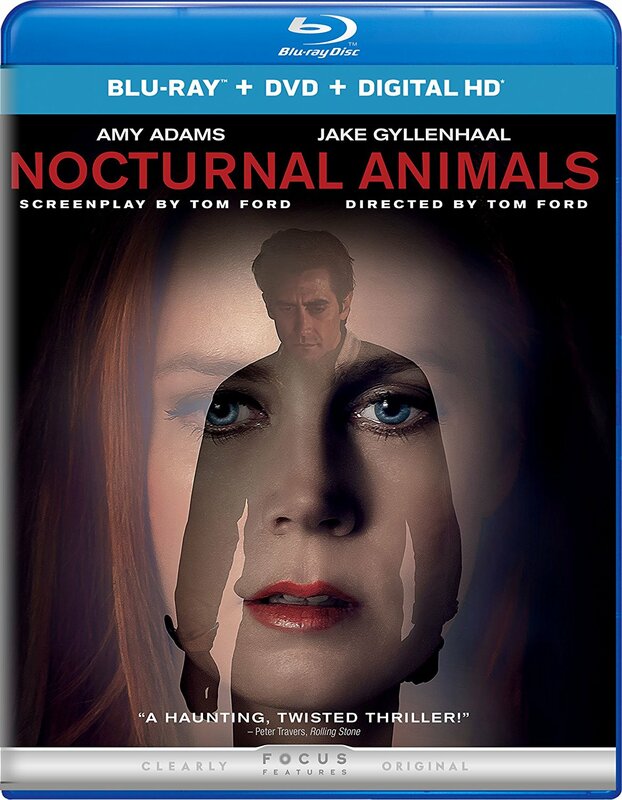 Heavy on violins and other string instruments, it gives Nocturnal Animals an added layer of moodiness that is entirely captivating when paired with the blood red Texas skies or bright, neon lights of L.A.
Tom Ford’s sophomore effort is a charged story of passion and pain. The technical aspects, such as the direction, cinematography and score, are engaging. But it is the A-list actors who elevate the tale off the page, depicting sadness and shame, animal instinct and intensity. * Building the Story explores how the tales of the film intersect. Tom Ford chats about how the stories feed each other, what the connections between the present and flashback worlds mean for Susan and Edward, and how impressed he was with Aaron Taylor-Johnson’s performance. Jake Gyllenhaal says Edward and Tony are one and the same, while Amy Adams, Aaron and Isla Fisher also discuss their respective characters. * The Look of Nocturnal Animals inspects the visual elements of the film. Seamus McGarvey says the granularity of the picture gives it teeth, while Tom opens up about the color and light employed. Costume designer Arianne Phillips, who also worked with Tom on A Single Man, champions the director’s sharp eye and stresses the importance of costumes in movies. Among other interviewees, Amy praises Tom and says that nothing in her life is as beautiful as the world created by him. * The Filmmaker’s Eye takes a closer look at the underlying meaning of Nocturnal Animals. Tom reveals the overlapping components of the stories and explains Edward’s experience. Amy says the picture is one that lingers with viewers long after the credits roll. Even as a vile villain, ATJ is still hot. I bet Tom Ford is super into him too.